One of the biggest accomplishments in life will be being accepted into college. Now that you’re in, what’s next? An internship? Studying abroad? As a college freshman, you may feel overwhelmed from the parties, loads of work and even peer pressure. If you're anything like myself, then you are ready to advance into any other possible opportunities. Freshman year is the perfect time to begin your search to ensure that you are on the right path. Although you may not qualify, it never hurts to be ahead of the game, and who knows? 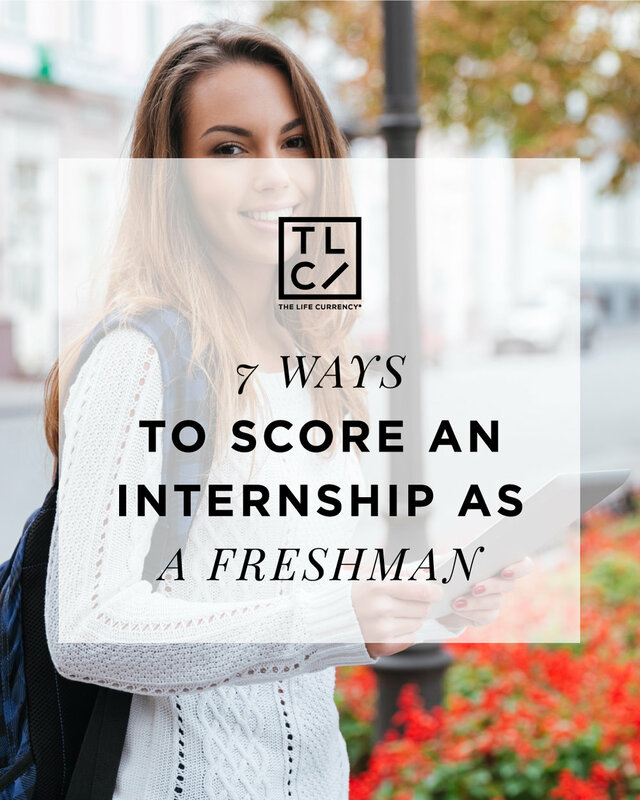 You may be offered an internship as a freshman just because of your drive. The career center provides service beyond job placement. They also offer internship placement, interview prep, resume critique and even can help you decide your major. The career services center will aid you in your internship search so you can figure out what is just right for you. This is imperative for not only internship opportunities but also job opportunities. You can hold an e-board position, or simply be a member. Either way it will build your resume and also give you valuable skills like working on a team and organization skills that internship recruiters look for. In the most professional way, of course! Every college has professional events that allow you to network. This is one of the best ways to meet people who are where you want to be or at least within the same industry. This could also be great in terms of mentoring opportunities. Simply stopping into their office hours can have a great effect. Professors are great people to network with. They have been through your desired field and have possibly made connections within your field or may be that connection you need. Some may be hesitant to ask upperclassmen for advice, but they have been in the same exact spot as you. You’ll be surprised at how much you can learn from your older peers. Even as a qualifying candidate, it is very important to have a connection with the employer. Sometimes it’s not what you know, but who you know. Instead of immediately asking what opportunities are available, try to build a relationship first which is something that others may not be doing. Simply start by introducing yourself and your career aspirations and let the conversation continue on its own. When you get opportunities to meet professionals, it is very important to keep in touch, without being aggravating. Get their business card, keep it and use it. Contact them in an adequate amount of time just to see if they have any opportunities or as a simple check-in or check-up. As a freshman, it is very imperative to go above and beyond! Whether if it’s a job on campus, volunteering, or becoming a member of an organization, it is a reflection of you. Taking that extra mile will not only look great on your resume but may be the determining factor that will place you above others. While being active in school and researching internships is great, it is also important to keep up with your academics as well. You will face rejection, but it is important to remember that your opportunity will come, and it may not always be when you want it.